I think it was in the mid to late 1980’s. I was still living home, totally fixated on what was happening with Television devices, programming and transmission. Mainly the advent of MTS Stereo compatible TV’s and VCR’s. I remember waiting patiently for weekly episodes of programs like Miami Vice and Crime Story to air. I would pipe the program audio through my media system in glorious MTS stereo. For me this was a game changer. I also remember it was around the same time that Cable TV became available in the area. I convinced my Mom and Dad to allow me to order it. Initially it was installed on the living room TV, and eventually made it’s way on to additional TV’s throughout our home. For the most part it was a huge improvement in terms of reception and of course program diversity. However there was one issue that struck me from the very beginning: the wide variations in loudness between network TV Shows, Movies, and Adverts. In fact it was common for targeted, poorly produced, and exceedingly loud local commercials to air repeatedly throughout broadcast transmissions. Reaching for the remote to apply volume attenuation was a common occurrence and a major annoyance. Obviously this was not isolated. The issue was widespread and resulted in a public outcry to correct these inconsistencies. In 2010 The CALM Act was implemented. The United States and Europe (and many other regions) adopted and now regulate loudness standardization guidelines for the benefit of the public at large. If there is anyone out there who cannot relate to this “former” problem, I for one would be very surprised. Well guess what? We now have the same exact problem existing on the most ubiquitous media distribution platform in existence – the internet. I realize any expectation of widespread audio loudness standardization on the internet would be unreasonable. There’s just too much stuff out there. And those who create and distribute the media possess a wide scope of skills. However there is one sort of passionate and now ubiquitous subculture that may be ripe for some level of standardization. Of course I’m referring to the thousands upon thousands of independenlty produced Podcasts available to the masses. In the past I’ve made similar public references to the following exercise. Just in case you missed it, please try this – at you own risk! Put on your headphones and queue up this episode of The Audacity to Podcast. Set your playback volume at a comfortable level, sit back, and enjoy. After a few minutes, and without changing your playback volume setting – queue up this episode of the Entrepreneur on Fire podcast. From what I gather both programs are quite popular and highly regarded. I have no intension of suggesting that either producer is doing anything wrong. The way in which they process their audio is their artistic right. On the other hand in my view there is one responsibility they both share. That would be the obligation to deliver well produced content to their subscribers, especially if the Podcast generates a community driven revenue stream. It’s the one thing they will always have in common. And so I ask … wouldn’t it make sense to distribute media following audio processing best practices resulting in some level of consistency within this passionate subculture? I suspect that some Podcast producers purposely implement extreme Program Loudness levels in an attempt to establish “supremacy on the dial.” This issue also exists in radio broadcast and music production, although things have improved ever since Loudness War participants were called to task with the inception of mandatory compliance guidelines. I’ve also noticed that many prolific Podcast Producers (including major networks) are publishing content with a total lack of Program Loudness consistency within their own catalogs form show to show. Even more troubling, Podcast aggregation networks rarely specify standardization guidelines for content creators. It’s important to note that many people who consume audio delivered on the internet do so in less than ideal ambient spaces (automobiles, subways, airplanes etc.) using low-fi gear (ear buds, headphones, mobile devices, and compromised desktop near fields). Simply adopting the broadcast standards wouldn’t work. The existing Program Loudness targets are simply unsuitable, especially if the media is highly dynamic. The space needs revised specs. in order to optimize the listening experience. Loudness consistency from a Podcast listener’s perspective is solely in the hands of the producers who create the content. In fact it is possible producers may even share common subscribers. 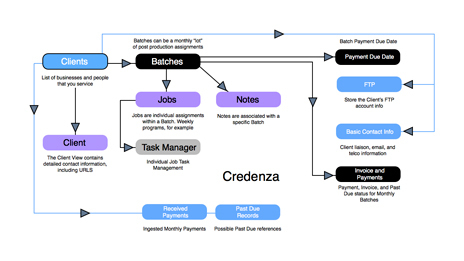 Like I said – the space is ripe for standardization. Currently loudness compliance recommendations are sparse within this massive community driven network. In my view it’s time to raise awareness. A target specification would universally improve the listening experience and ultimately legitimize the viability of the platform. File Format: Stereo, 128kbps minimum. 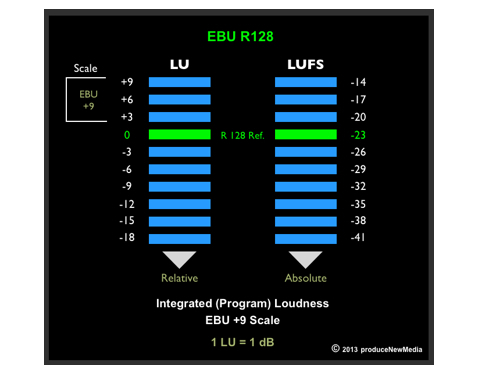 Program Loudness: -16.0 LUFS with acceptance of a reasonable deviation. Loudness Range: 8 LU, or less. True Peak Ceiling: -1.0 dBTP in the distribution file. Of course this may be lower. Quick note: when I refer to Podcasts, from a general perspective I am referring to audio programs and videos/screencasts/tutorials that primarily consist of spoken word soundtracks. Music based Podcasts or cinema styled videos with high impact driven soundtracks may not necessarily translate well when the Loudness Range (and Dynamic Range) is constricted. For further technical insight, please refer to “Audio for Mobile TV, iPad, and iPod” – Thomas Lund, TC Electronic. Besides a prolific user forum and gear reviews, the site included systems that I designed at various levels of price and complexity. They are still viable some 10 years later. I eventually sold the rights to the property and content, and the site was unfortunately buried beneath The Podcast Academy, a site that published audio recorded at various conferences and events. These days I’m still actively involved in the space, handling audio post for a select group of clients. I continue to get a good amount of use out of the gear that I bought to record my own podcast (2004-2006). For instance I still have my Electrovoice RE-20 mic on my boom, with a Shure SM7B and a Heil PR-40 stored in my closet. I’m still using a Mackie Mixer (Onyx 1220i), and my rack is full of analog processors including an Aphex Compellor, a dbx mono compressor, a dbx voice processor, and a Telos One Digital Phone Hybrid. Up top in the rack I have a Marantz Solid State Compact Flash Recorder. At the very bottom I’ve integrated an NAD Power Amplifier that drives my near field monitors. And I continue to keep a very close eye on on what’s out there with regards to suitable gear for Podcasting Systems. In fact I have a clear idea of what I would buy TODAY if I decided to replace the components in my current system. And it’s not a cheap solution intended for novices. In fact this new system is quite expensive. Relatively speaking, for the approximate cost of a custom 6-Core MacPro Tube – this is my vision for a cutting edge professional Podcasting System that I am convinced would supply a ton of flexibility and output reference quality audio. Notice I make reference to Console instead of Mixer? This is by design. For the brain of my system I’ve decided on the Air-1 USB Radio Console by Audioarts Engineering. 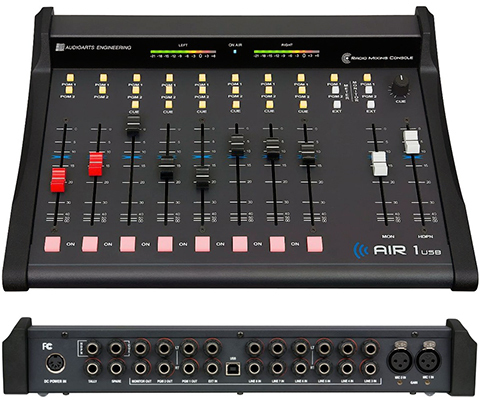 The Air-1 features two XLR Mic Inputs, six Balanced Stereo Input channels, USB I/O, two Program Buses, and a Cue Output. The active state of the input channels can be controlled by channel dependent On/Off push button switches. Routing to the Program Buses as well as the Cue Bus is also controlled by the use of push button switches that illuminate when active. 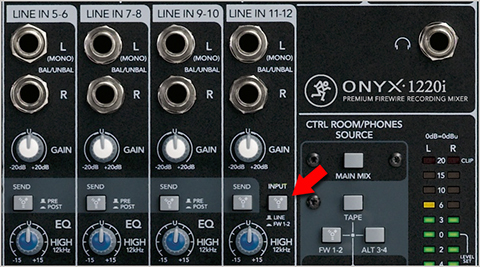 The level of the Cue Bus is independently controlled by a dedicated pot. The console uses long-throw faders that are common on broadcast consoles, with independent faders for Monitor and Headphone outputs. By the way the Cue is a prefader Bus on the inputs that allows the operator to monitor off-air channels. It’s entirely separate from the main mix, or in this case – the Program Bus. The USB I/O is bidirectional. 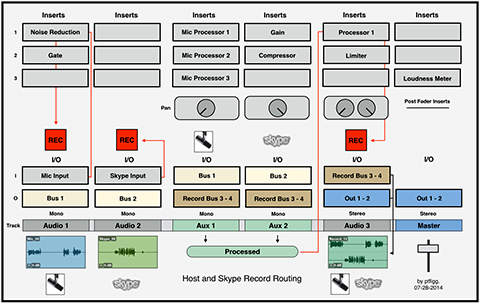 It can be used to send and receive audio from a computer workstation for easy recording, playout, and automation system integration. 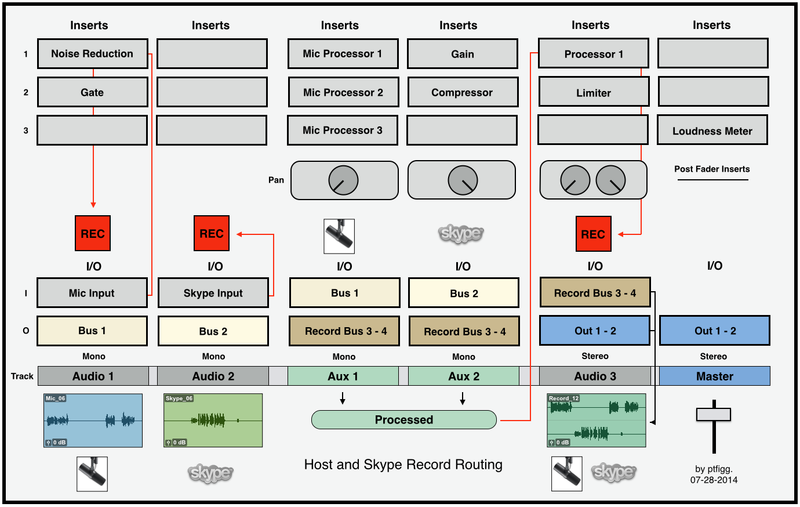 There’s ample flexibility for Skype and easy setup for a telephone hybrid mix-minus. The device uses an external power supply that is included. Note that many output options and routing configurations are customizable by way of Dipswitches located on the bottom of the chassis. Currently the AIR-1 retails for $1,789.00 at BSW. 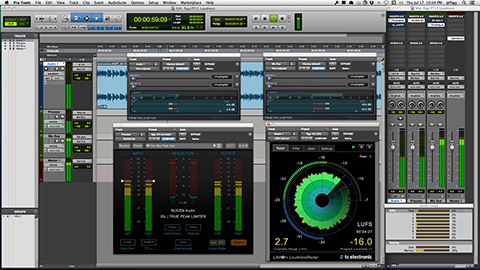 Since 2004 there have been a few audio processors that have been widely used by Podcast Producers. At first I recall the popularity of the affordable dbx 266XL (now discontinued) 2-channel Compressor Expander/Gate. Then there was the Aphex 230 Vocal Processor (also discontinued) that achieved early acceptance due to excellent marketing by Aphex and their recognition of Podcasting as a viable option for broadcasters to widen their reach. The device eventually attracted the interest of Podcast Producers who were willing to shell out upwards of $700 for this great sounding piece of gear. 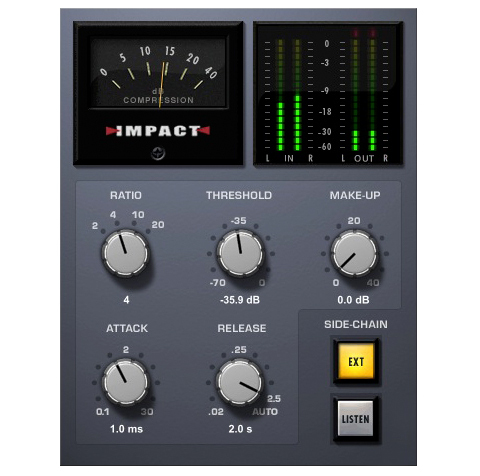 These days (and much to my surprise) there is a fairly inexpensive Compressor/Limiter/Gate by Behringer that has steadily gained popularity in the space. From what I can tell this is due to a few prolific “Podcast Consultants” using the processor and recommending/selling it for whatever reason. Personally I was never a fan of the brand. But that’s just me. For this new high end system I am selecting the Wheatstone/Vorsis M-1 Digital Mic Processor. The processor uses sophisticated digital audio processing algorithms throughout it’s internal chain. On the back of the unit there is one AES digital output, one Mic input, and a single analog (XLR) output that can be set to pass Mic or Line Level signal. 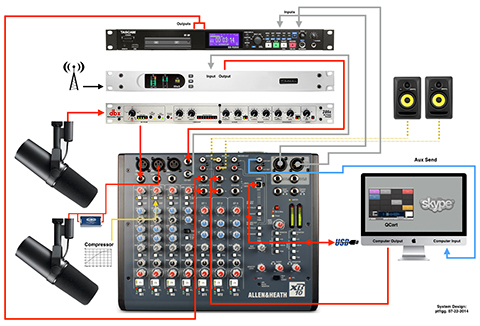 This is important in the design of this Podcasting System due to the way in which it would connect to the Air-1 Console. In essence the Mic would get connected to the processor input and the analog output switched to Mic Level would feed one of the dedicated Mic channels on the Console. There is also a Dipswitch matrix located on the back of the device that allows the operator to customize a few options and functions. The M-1 supports variable Sample Rates, has switchable Phantom Power, Hi-Pass/Low-Pass filters, a De-Esser, Compressor, and Expander. There are independent Input and Output Gain pots and a Level Meter that can be switched to monitor Input or Output. There is also a De-Correlator function, also referred to as a Phase Rotator that will tweak waveform symmetry. 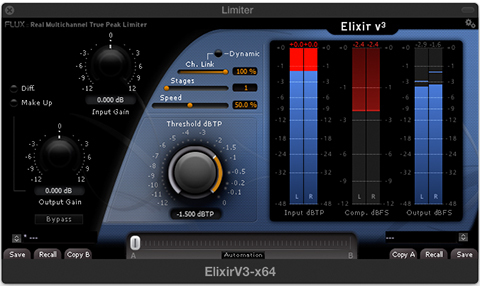 Also included is dual Parametric EQ with user defined frequencies, cut/boost control, and variable Q. In addition there are two independent Shelving filters that can be used to shape the overall frequency response of the signal. 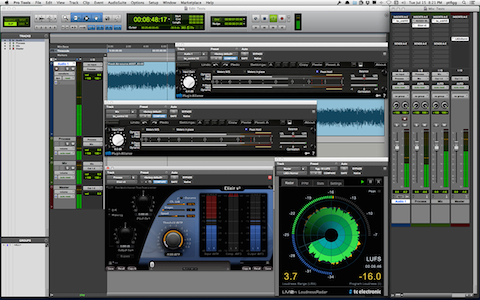 The EQ stage can be placed before or after the Compressor in the processing chain. But that’s not all. The M-1 can be controlled and customized locally or remotely via Windows GUI software running on a PC. Note that although this feature is intriguing, it would be of no use to me based on my dependency to the Mac platform. In fact from what I can tell there may be some Windows operating system incompatibilities with the bundled software. This may very well cause difficulties running the Windows software on a Mac in an emulated environment. I’ll need to check into it. But like I said, with no native support for the Mac I would probably need to pass. Currently the M-1 Processor retails for $799.00 at BSW. At this point it would make very little sense to even consider purchasing yet another microphone based on my current lot (EV RE-20, Shure SM7B, and Heil PR-40). But I figured what the heck – why not explore and try something new? Note that I’ve never tested the following mic. So I’m shamelessly speculating that I would even like it!. What drew me to this mic was the reputation of the manufacturer and the stellar package deal that is currently available. The mic is the Telefunken M82 Broadcast. The M82 is an end-address, large diaphragm (35mm capsule) cardioid dynamic mic (Frequency Range 25Hz – 18kHz). What’s interesting is this mic is designed to be used as a kick-drum mic, yet it is well suited for broadcast voice applications. In fact if I recall the timeless EV-RE20 was also originally designed to be used as a kick-drum mic before it was widely embraced by radio and voice professionals. Anyway the Telefunken supplies two separate EQ Switches:Kick EQ and High Boost. The Kick EQ engages a lower mid-range cut at around 350Hz. The High Boost shifts upper mid-range and high frequencies starting around 2kHz with a 6dB boost by 10kHz. 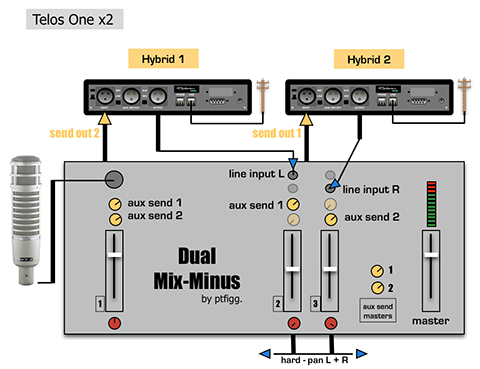 Any combination of the two switches can be used to tailor the response of the mic. Here is what really caught my attention – the mic is available in a Broadcast Package that includes the M786 Broadcast Boom with built in XLR cable, the M700 Shock Mount, and a protective case. Currently the M82 Broadcast Package retails for $499.00 at BSW. As far as I’m concerned any serious Podcast Producer who intends to incorporate remote guests needs to implement an easy alternative to the now ubiquitous Skype. A Digital Telephone Hybrid is the obvious choice, allowing program guests to call into the host system using a standard telephone line. With proper configuration of a mix-minus by the host, seamless communication can be achieved. Sometime around 2010-2011, Telos Systems replaced the ubiquitous Telos One with the brand new Hx1 Hybrid. I’ve chosen this device for my system. 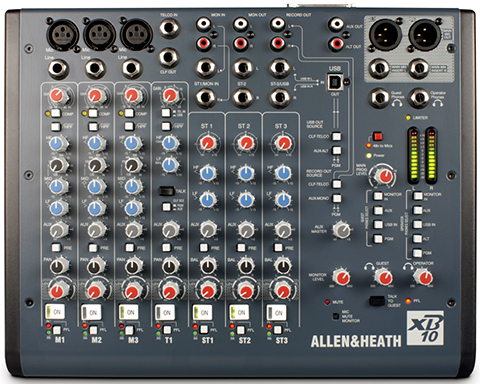 The Hx1 receives an analog “POTS” (Plain Old Telephone Service) line signal and implements digital conversion resulting in excellent audio quality. This Hybrid features automatic gain control in both directions, a ducking system, feedback reduction, and a digital dynamic EQ. The device is also capable of Auto-Answer functions for unattended operation. Using the Program 2 Bus on the Air-1 Console to feed the Hx1 input, setting up a broadcast mix-minus would be a snap. In my current system I’ve placed a single channel dbx dynamics compressor between the output of my Telos One and the input used on my Mackie Board. This works pretty well. 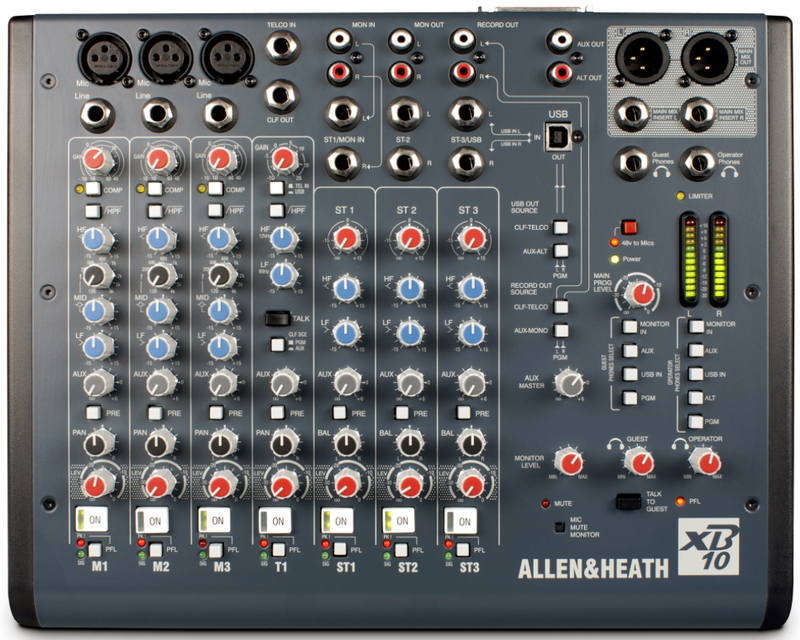 I’d need to test this setup with the Hx1 to determine whether the compressor would even be necessary. Currently the Telos Hx1 Digital Hybrid retails for $695.00 at BSW. I’ll be frank:In a studio environment I’m not a fan of using a small, handheld digital recorder. I’m aware of what’s being recommended by the experts, mainly models by Edirol and Roland. Of course these devices are perfectly capable and well suited for remote recording, ENG, and video production. I prefer a dedicated rack mounted component, just like the Marantz PMD-570 currently living in my rack. The Marantz piece that I own has an interesting feature: Besides PCM and MP3 recording, the unit can record directly to MP2 (MPEG-1, Layer II) on the fly. This is the file format that I use to exchange large files with clients. Basically the clients will convert lossless files (WAV, AIFF) to MP2 prior to uploading to my FTP server. In doing so the file is reduced in size by approximately 70%. The key is when I take delivery and decode … most, if not all of the audible fidelity is retained. Needless to say MP2 is a viable intermediate file format and it is still used today in professional broadcast workflows. Again it’s time for something new. For this Podcasting System I’m going with the Tascam SS-R200 Solid State Recorder. The SS-R200 will accept Compact Flash and SD/SDHC Memory cards as well as USB Flash Drives. The device will also accept a USB keyboard that can be used for metadata editing. 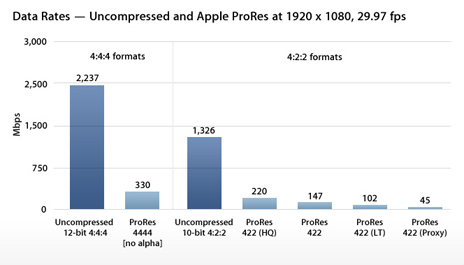 Supported file formats are WAV and MP3 @ 44.1/48kHz. I/O is flexible and includes XLR balanced input/output, RCA unbalanced, and coaxial S/PDIF digital. There are additional I/O support options for RS-232C and Parallel Control for external device interfacing. The display is clear, and the transport buttons are large and easily accessible. One slight issue with the recorder – I don’t believe you can connect it directly to a computer via USB (My Marantz supports this). Of course the work around is to use USB Flash drives for recording. Compact Flash and SD/SDHC recording will require an additional device for computer interfacing. Currently the Tascam SS-R200 recorder retails for $549.00 at BSW. I’ve purposely refrained from recommending accessories including cables and headphones. And regarding headphones, after years of wearing them for hours upon hours, I’ve moved over to a moderately priced set of Shure SE215 Earphones. Full sized headphones can be very uncomfortable when worn for extended periods of time, hence my decision. Believe me it was a major adjustment. These Shure’s are not considered a high-end option. However they do serve the purpose. Isolation is good and sound quality is perfectly suitable for dialogue editing. And I’m much more comfortable wearing them. I still use my Beyer Dynamics, AKG’s, and Sony’s for critical monitoring when necessary. And I’ve also refrained from recommending software solutions like DAWS and plugins. This would be the source of yet another installment. However I will make one recommendation. 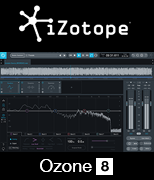 If you are serious about high quality sound and often deal with problematic audio, you need to seriously consider RX3 Advanced by iZotope. In my work this package is simply indispensable. I’m not going to get into the specifics. I will say that the Broadband DeNoiser, the Dialog Denoise Module, and the Dereverb features are simply spectacular. Indeed it’s an expensive package. I’m grateful that I have it, and it’s highly recommended. And lastly, storage. Since all components are rack-mountable, the obvious solution would be a 4U enclosure by Middle Atlantic or Raxxess. I would also suggest a 1 Space Vent Panel installed between the Processor and the Hybrid. And if it’s convenient the Console can be placed on top of the enclosure due to it’s relatively small footprint. One final note:I have no formal affiliation with BSW. I simply pointed to their listings due to price and availability. 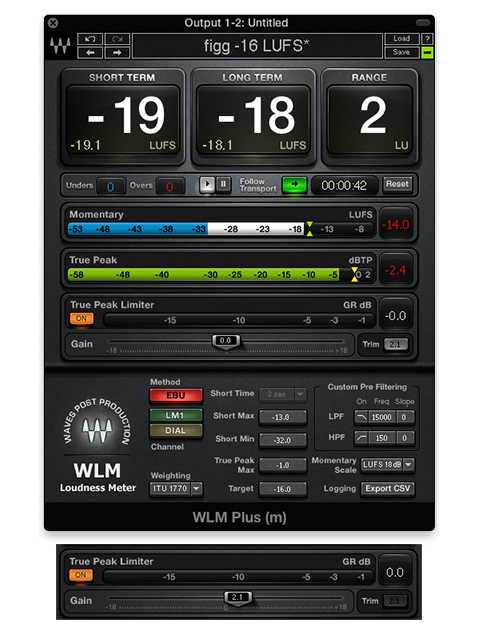 Waves has just released a stellar update to their critically acclaimed WLM Loudness Meter. The new WLM Plus version, available for free to those who are eligible – includes a few new and very useful features. 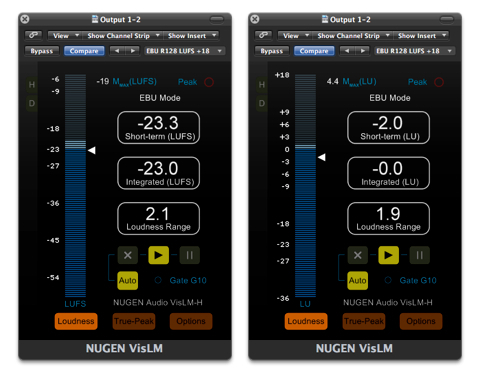 The plugin now acts as both a Loudness Meter and a Loudness Processor. New controls (Gain/Trim) are located in the Processing Panel and are designed to apply loudness normalization and correction. There is also a new switchable True Peak Limiter that adheres to the True Peak parameter defined in the selected running preset. Notice below I am running WLM Plus using my own custom preset (figg -16 LUFS). Besides the obvious Integrated Loudness target (-16 LUFS), I’ve defined -1.0 dBTP as my True Peak ceiling. What you need to do is insert the plugin at the end of your chain. Turn on the True Peak Limiter. Now play through the entire segment that you wish to measure and correct. During playback the textField value located on the WLM Plus Trim button will update in realtime, displaying the proper amount of gain compensation that is necessary to meet the Integrated Loudness target (it’s +2.1 dB in this example). When measurement is complete, simply press the Trim button. This will set the Gain slider to the proper value for accurate compensation. 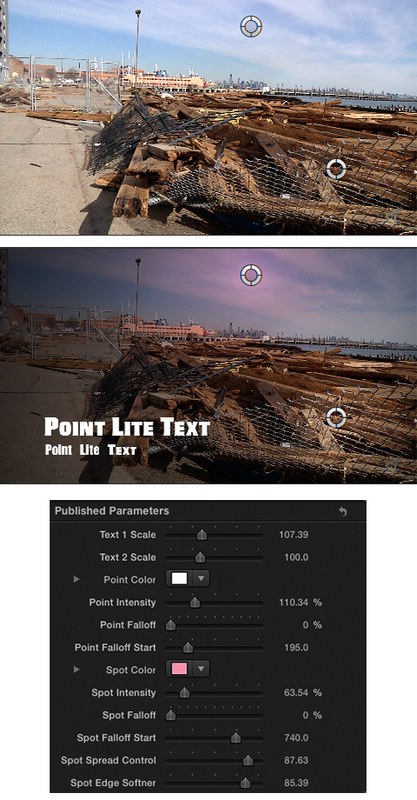 Finish up by bouncing the segment through WLM Plus, much the same as any processing plugin. 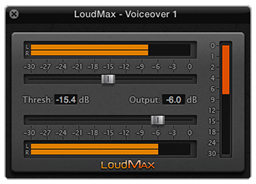 The processed audio will now match the Integrated Loudness Preset target and True Peaks will be limited accordingly. I haven’t tested this in Pro Tools but my guess is this also works when using WLM Plus as an Audio Suite process on individual clips. Of course you can make a manual adjustment to the Gain slider as well. In this case you would use the displayed Trim Value to properly set the necessary amount of gain compensation. 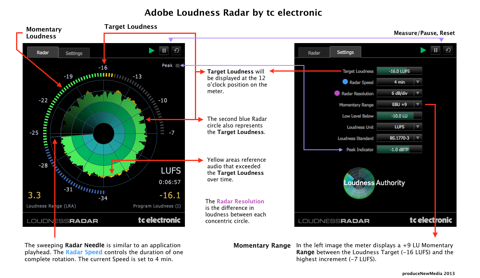 Great update to this well designed Loudness Meter. checkDefinitions 1.5 … with a customized Authentication Panel, a date string that displays the last attempted forced update, and UI tweaks. aspectRatio 1.12 … with improved key mapping for custom conversions and UI tweaks. Last eve I was sifting through the Apple App Store looking for a simple utility to quickly convert RGB color values to corresponding float values (RGB integer / 255 = float). I decided to build my own Cocoa application with a few added enhancements. Run the standard OSX Color Picker and press the second toolBar option (Color Sliders). Select the RGB Sliders option in the popup menu. Notice each RGB value changes as you move through the color spectrum. We can divide each one of the displayed values by 255 to return float values that can be used in source code authoring. 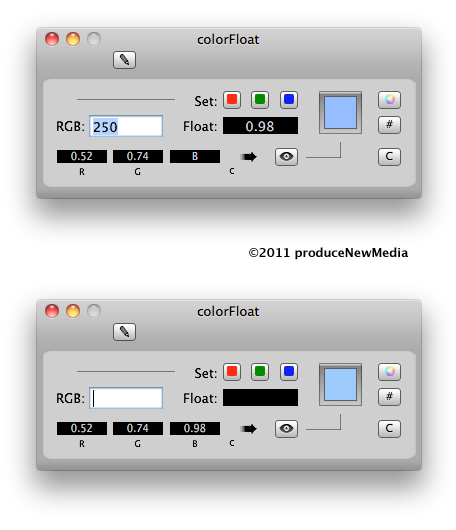 In colorFloat the user adds an input RGB value (x3), converts, and appends each conversion result to the desired color channel. The final action displays the corresponding color for confirmation. I also built in support for what I refer to as Dynamic Floats. 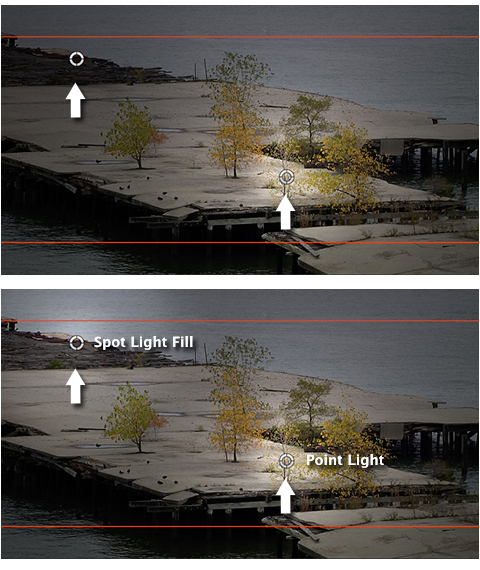 Notice the Dynamic Floats HUD located in the high-res image. The Float value strings change dynamically as you move around the color wheel or change the values of the RGB sliders. This feature allows the user to easily sift through the color spectrum to view corresponding floats in real time. Lastly, I added a simple Palette that consists of five Color Wells. The user can store colors for future access. The app. turned out pretty well. I found it interesting to take a break from QTKit and explore a few unfamiliar Cocoa Classes. When I find the time I’ll be writing about a bunch of new stuff, mainly Adobe Audition for the Mac, Final Cut Pro X, and a new media playback application that I am finishing up with interesting support for images captured with one of my favorite iPhone apps. – Panascout. 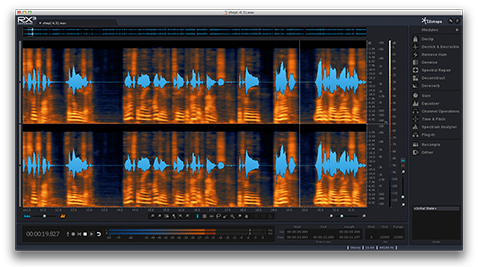 Lastly, FiRe 2 … an awesome iPhone audio recorder that supports waveform editing and audio processing. It has been documented that the newly released feature film “Eat Pray Love” staring Julia Roberts was edited entirely on a Final Cut Pro workstation. Obviously lower data rates = smaller file sizes. The bottom line is working with ProRes Proxy files (Offline copies of original ProRes 422/HQ files) creates a much more efficient workflow that is less taxing on any system. I’ve adopted a slick method using my iMac for rough cutting ingested AVCHD footage that has been transcoded to ProRes Proxy via Final Cut Pro’s Log and Transfer. Depending on the complexity of the finished project sequence, I can finish and output on the iMac, or – move the project and it’s assets over to my MacPro for finishing. The key is prior to outputting, the edited Proxy clips can be re-captured and replaced with higher quality ProRes versions. Set up the FCP Project and Sequence. My sequences are typically 1080p/24. 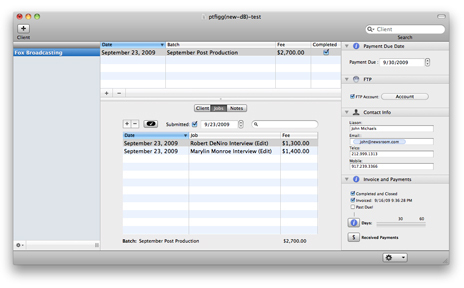 Add a new Bin in the FCP Browser and designate it as the Logging Bin. Mount media and run Log and Transfer. 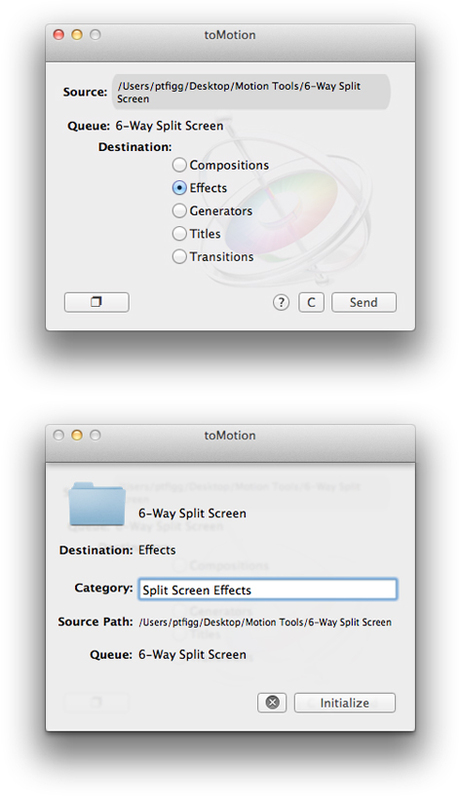 From the Import Preferences Action Popup menu, set ProRes Proxy as the ingest transcode format. Log and Transfer clips into the project. Before closing Log and Transfer, reset the ingest transcode format to ProRes 422. Close Log and Transfer and edit clips into sequence. Select the project sequence in the Browser. 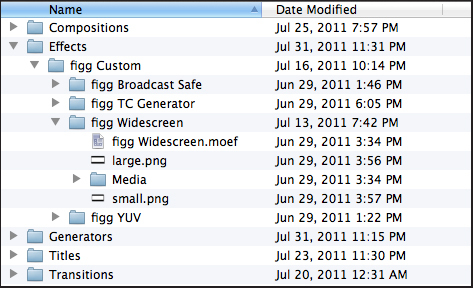 From the FCP menu, run Media Manager: File/Media Manager. 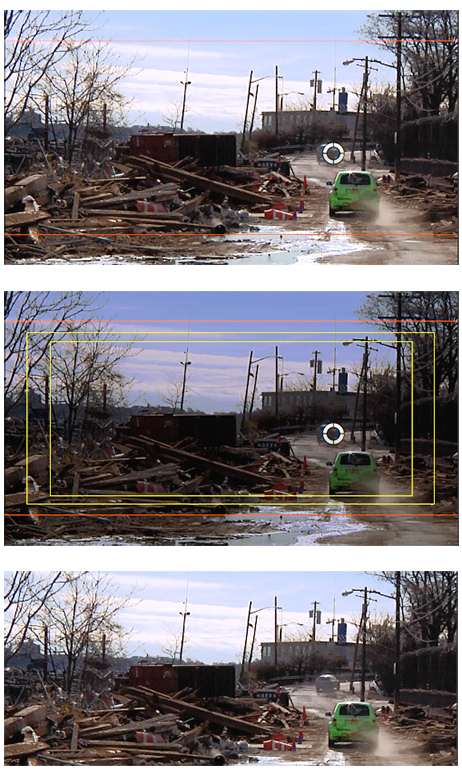 Create an Offline Sequence and set to ProRes 422. Name and save the new Sequence. A new tab will appear in the FCP Browser that includes the duplicate sequence and it’s offline clips. Select the new sequence. From the FCP Menu: File/Batch Capture. Choose All Offline Items in Selection from the displayed Re-Import popup menu. 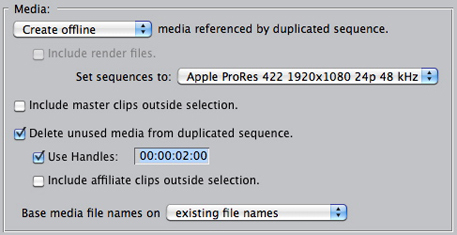 Log and Transfer will run and recapture the sequence clips as ProRes 422 versions. 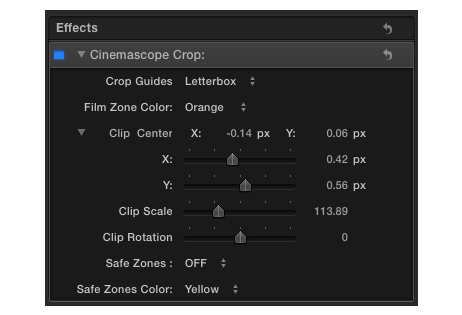 One of the many aspects of Final Cut Pro that I would like to see improved is how project clip attributes are displayed. Currently right clicking on a media file located in the Browser or Timeline and selecting Item Properties/Format displays a sort of bloated window with a table. In most cases I am only concerned with the datarate, framerate, codec, and aspect ratio. 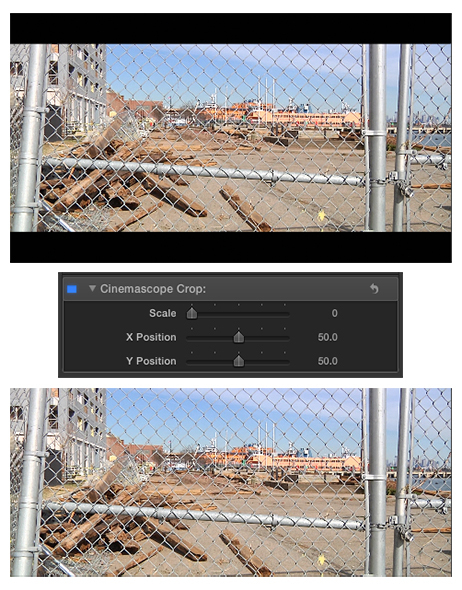 I decided to build a simple HUD style file inspector, and I found an easy way to integrate it with Final Cut Pro. I’m calling this tool movieData. It is in fact a stand alone application that needs to be installed as normal in the Applications folder. 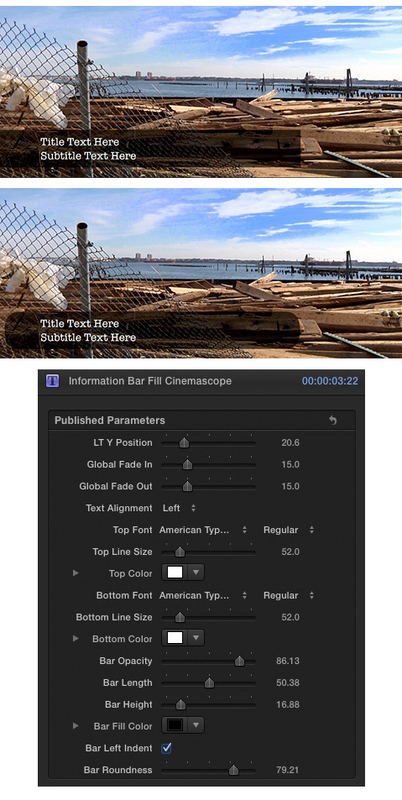 In order to use this tool to display clip attributes, the user must access the FCP System Settings/External Editors preference and set movieData as the default Video File Editor. Now if you right click on a clip in the Browser or Timeline and select Open in Editor, the HUD runs and displays the supported clip attributes. I built in an On/Off HUD Transparency preference. It’s pretty cool. If you would like to check it out, get in touch. Let’s assume you are finishing up a rough edit for client review consisting of multiple clips and sound. The client requests visible timecode in the review movie. 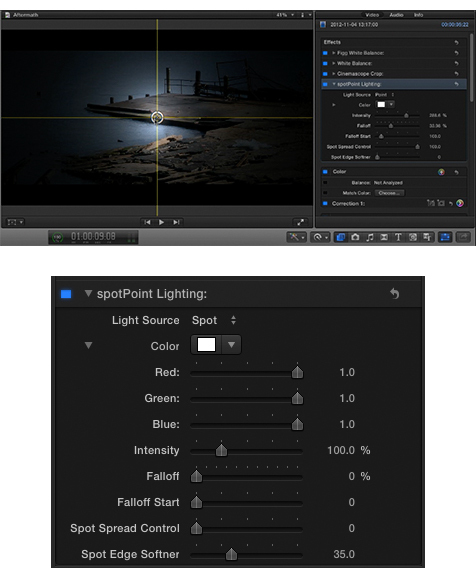 Final Cut Pro includes a Timecode Generator Filter located in Effects/Video Filters/Video. Since this is in fact a filter, it must be applied to each individual clip. The problem with this implementation? The TC Generator will reset on a clip to clip basis as the playhead moves through the sequence. The original sequence consisted of multiple independent clips. Nesting a selection of timeline assets creates a new self contained sequence without any reference to previous edit points. To create a Nested Sequence, select the timeline assets. 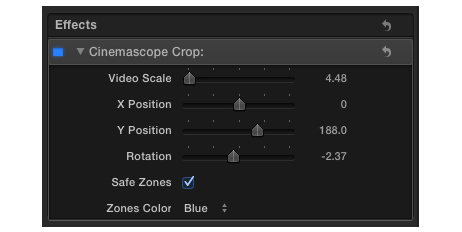 Head up to the FCP Sequence Menu and select Nest Item(s). You can also use the keyboard shortcut ⌥ C. Apply the FCP Timecode Generator Filter to the Nest. The filter will display the RT playback timecode in the Canvas. The Timecode will be visible in the output movie. There is another way to do this using a (free) third party generator. Andy’s TC Generator allows you to add a TC Generator directly to your existing sequence as an overlay on a upper video track. The developer notes that you can adjust the offset to match your sequence, or use it as it’s own free running reference. Very cool. 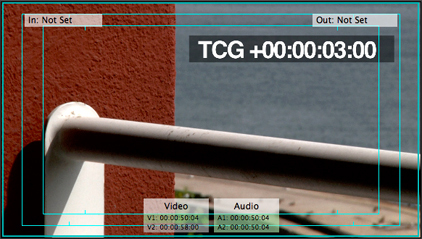 One final note about one of Final Cut Pro’s newest features: The Timecode Viewer HUD. The resizable Timecode Viewer (Tools/Timecode Viewer or press Control-T) makes reading current timecode very easy. The Timecode Viewer displays the timecode for either the Timeline/Canvas or the Viewer as well as the corresponding sequence name or clip name. You can customize what is displayed by right-clicking either the upper or lower display areas of the HUD. Tip: for easy access, add a Timecode Viewer Shortcut Button to a Button Bar in the FCP window of choice – (Tools/Button List/Timecode Viewer). 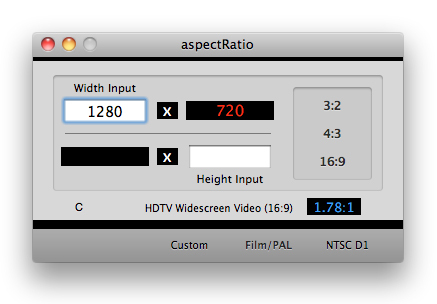 • If custom calculated output dimensions are not evenly divisible by 16, the aspectRatio Custom Conversion utility will now suggest evenly divisible high/low values. Select MPEG formats are based on 16×16 macro-blocks. Output dimensions evenly divisible by 16 will maximize encoder efficiency and yield optimum results. • New Preferences Panel with a new option to set the font color of the calculated numerical output displays. • The code for the Main Window formats display has been rewritten. 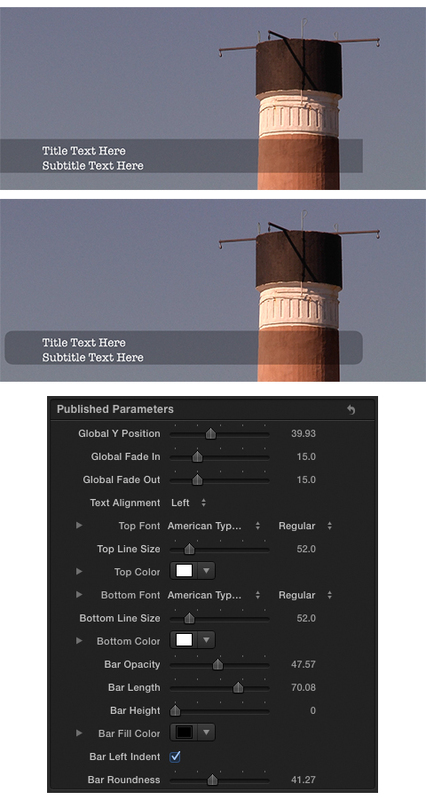 • New multi-view Help panel. • A Main Application Window selection option has been added to the Window menu. If the main application window is inadvertently closed while the application is still running, this option will re-display the main window. • Updated the Sparkle Framework to ver.1.5 b6. This includes DSA Signatures for enhanced security. As noted I purchased a Canon HF-S100 camcorder and returned it immediately. In fact the camera was repackaged and shipped back to B&H on the same day it was delivered. Besides my careless research (see the previous post), the camera felt like a $1K toy. B&H provided a full refund. I moved forward and purchased the solid state Panasonic AG-HMC150 (AVCHD) Hi Definition AVCCAM. The camera is in short supply due to it’s enormous popularity. 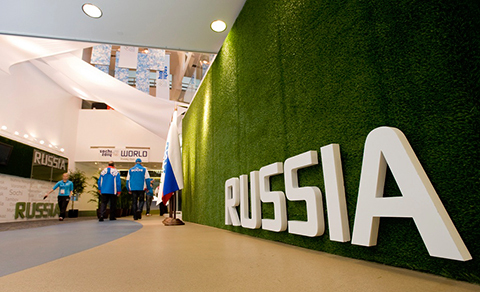 It debuted at NAB 2008 and hit the street in October. After a few months in circulation shooters embraced it and the rest is history. The camera records to inexpensive SDHC memory cards. 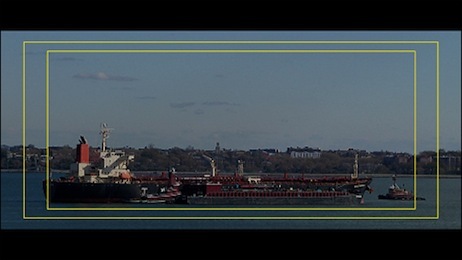 Footage is easily ingested into Final Cut Pro using the Log and Transfer mode. Due to the high efficiency of the AVCHD format you can record approximately 100 minutes of the highest quality (1080/24p) video on a 16 gig card that sells for about 70 bucks. 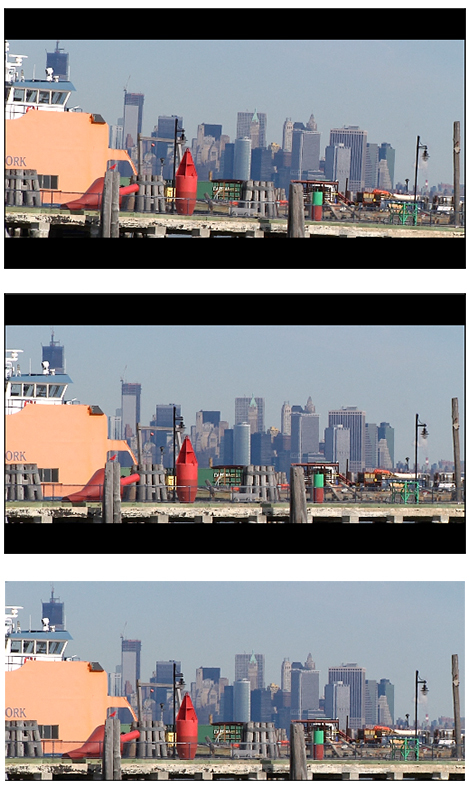 AVCHD is essentially high definition H.264 (MPEG-4) video. The tapeless workflow is a major plus. • Recording Formats: PH (high quality) mode: 1080/60i, 1080/30p (over 60i), 1080/24p (native), 720/60p, 720/30p (over 60p) and 720/24p (native). Lower quality settings are limited to 1080/60i. 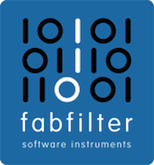 • Extensive support for operational presets. Panasonic refers to presets as “Scene Files.” The default scene files can be edited/backed up and saved on to the camera’s SDHC card and transfered to a computer for future use (the files are standard .txt files). Let me also mention that iMovie ’09 supports AVCHD video with one caveat relative to this camera: no support for 24p footage. You’re limited to 30p (29.97 fps). The full 1920×1080 resolution is supported. For serious extended shooting the stock battery is insufficient. The optional 3 hr. battery runs about $150.00. The on-board stereo mic is of low quality. Not a surprise. A logical choice is the Audio Technica AT875R ($199.00).